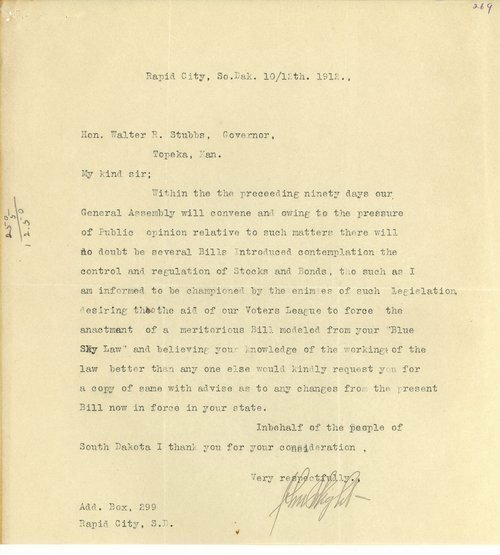 This letter from John Wight, Rapid City, South Dakota to Governor Walter Roscoe Stubbs requests a copy of the Blue Sky Law. Kansas was the first state to enact the Blue Sky Law, which protected investors from securities fraud. It served as a model for similar statutes in other states.